Most people, when they think about website redesign, consider a truly massive change. It’s not really like overhauling a car and putting a new paint job. It’s more like actually buying a new car. A lot of people these days are guilty of complacency, especially when running their own websites. Many people just let things go on as they always have, and don’t even make minor improvements. But sometimes a massive change may be the right answer. Of course, some people (like you, for instance), may be hesitant about starting the website redesign process. After all, the memory of the original web design process may still be fresh in your mind. But before you simply dismiss the subject, here are some stats you ought to think about. These are not opinions, but cold hard facts. When you have a website, there’s no such thing as perfection. There will always be problems. Even if you think everything’s running perfectly, you still need to make improvements on a constant basis. It’s like a race where everyone’s trying to overtake you. You have to run at least fast enough to maintain your lead. There are many possible reasons why you would put up with another web redesign. But you can all boil down those reasons to just one thing: improving profits. But of course that naturally leads to the question of how to improve profits. Have you tried visiting your own website on a tablet instead of a desktop computer? How about visiting your site on a 4-inch smart phone? It’s very likely that your site still goes for a fixed-width design but with new trends and ideas coming up you will want to reconsider redesigning with a responsive layout in mind. What’s a Responsive Website Design? 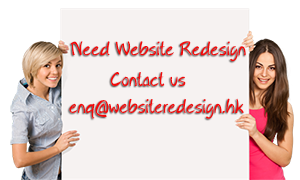 Opting to alter the look and feel of your website? Web redesign is important to adapt to newer trends and devices and it will help you stay connected to your audience as the Internet changes and adapts. However, you can’t just slap on a new design and drop everything; you need to really take some time and study the analytical data being affected.